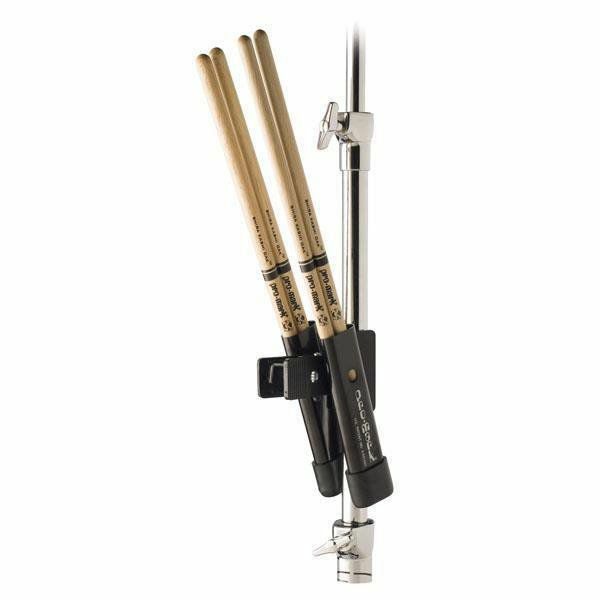 The ProMark SD100 stick depot holds a single pair of sticks and easily attaches to any cymbal stand. 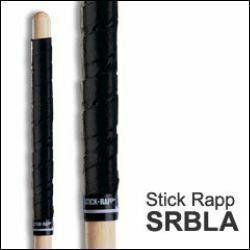 Pro Mark Black Stick Rapp is a soft, comfortable wrap for drumsticks that absorbs shock and provides a non-slip grip. 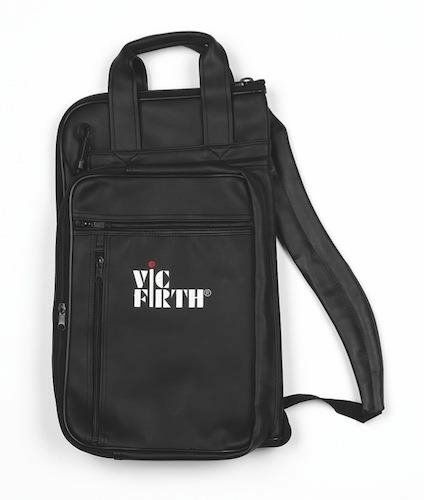 Holds 24 pairs of sticks and mallets and contains two small accessory pockets. Four outside pockets include one large enough for sheet music. 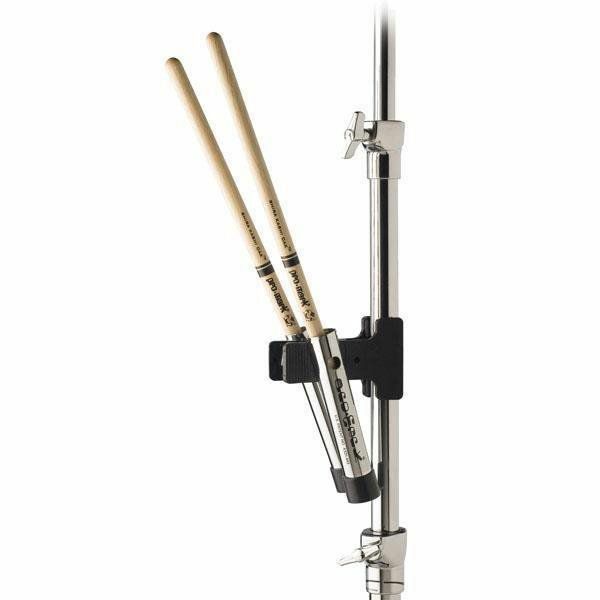 Also features detachable‚ padded shoulder straps and elastic fasteners with retractable clips for secure suspension from the floor tom. Water resistant leather-like vinyl with double stitching throughout. A heavy duty zipper holds it all together! H = 19" | W (when open) = 23"